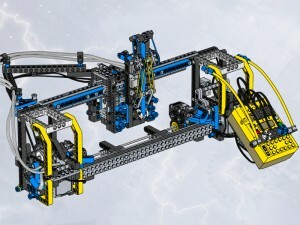 A few weeks ago I wanted to build one of the awesome projects of the MindStorms Ultimate Builders Set again, but didn’t want to dig up an old Windows machine or VM to install the original software (the building instructions were all on the CD-ROM, no paper). So I went online to see if anyone had ever made them available like some of the other sets that were CD-ROM only (like Spybotics). But I couldn’t find them anywhere. I am now building these projects one by one to see if I’ve made any mistakes. The CD-ROM had small movies included in the instruction steps, most of which are probably not that important, but for some of them I may need to find a way of inserting a shot from the movie into the instructions. 0.2 – verified the plotter project with all its modules: corrected one image in motor module 2 and added two images to the pen module. This entry was posted in RCX and tagged 3800, RCX, UBS on 2013/11/03 by Michiel. I used the group name “michiel” and it worked fine (I think it will work regardless because it sets the mode to 666 which means read/write access for everyone anyway. This entry was posted in Linux, RCX and tagged Linux, USB Tower on 2013/10/22 by Michiel. When your RCX is new (right!) or has been without power for longer than a few minutes, it will have lost its firmware, which you must upload again. In this state the RCX is not completely useless. It still has three basic built-in programs that you can use. When the program is started, Output ports A and C are turned on forward. So if you attached two motors to these ports and linked them to wheels, you have a rover that drives forward. Sensor ports 1 and 3 are configured for use with touch sensors. When touch sensor 1 is activated, motor A stops. When touch sensor 3 is activated, motor C stops. With this you could for example build a rover that turns when hitting an object. 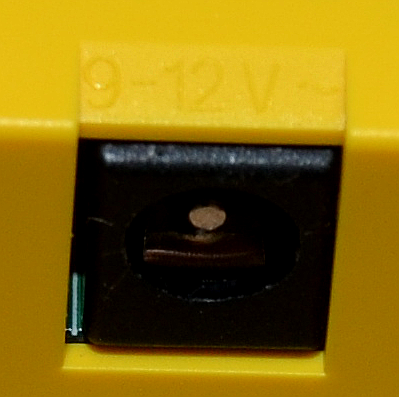 Sensor port 2 is configured for a light sensor. Keep two motors attached to output ports A and C.
After activating the program, the motors will turn only when the light sensor is close to a bright surface, for example a white paper. When above a dark surface (for example a black line), the motors will stop. With this you could build a Rover that drives on a white surface until it reaches a black finish line or boundary. 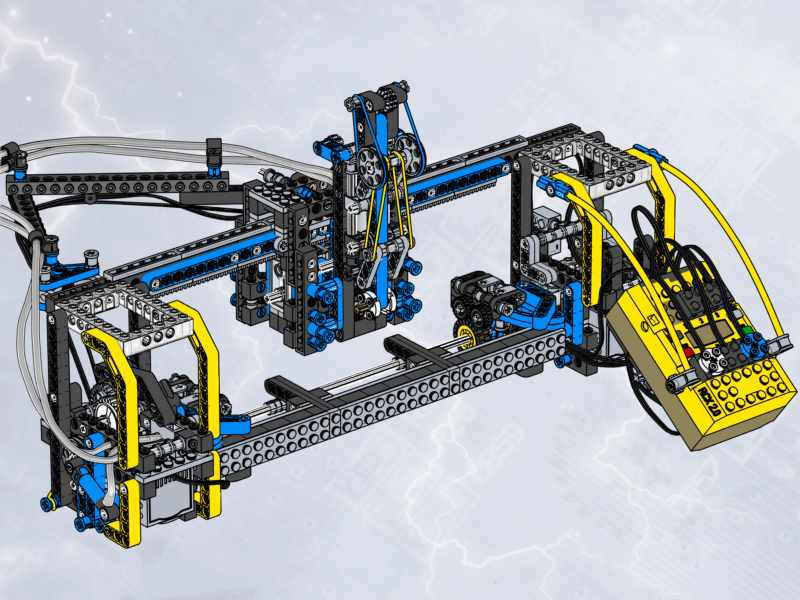 This entry was posted in RCX and tagged RCX on 2013/10/16 by Michiel. 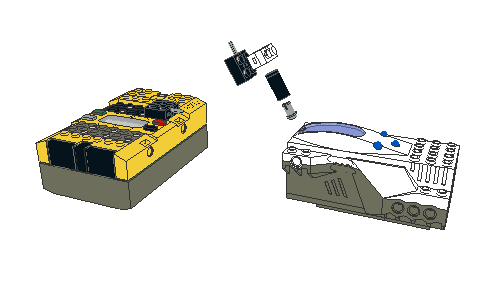 The original RCX that came in Robotics Invention System 1.0 and later LEGO Education sets has an adapter socket into which you can plug an adapter to power it, instead of using batteries. This entry was posted in RCX and tagged RCX on 2013/10/03 by Michiel.